Combine the lemon juice and sugar and plain water in a 2 quart pitcher. Stir until sugar has dissolved. Add the raspberries and chill 6 hours, or overnight. After chilling, add the chilled sparkling mineral water. Stir to combine. Serve over ice, if desired, and garnish with lemon slices. To me, it just screams "Summer" with its cold fruity taste. Every time I drink a glass of lemonade, I am transported back to the hot and humid summers of my childhood years in Houston. A tall glass filled to the brim with ice and lemonade always reminds me of weekends spent with my dad while he grilled something yummy on the barbecue for dinner. And it definitely brings back memories of the countless lemonade stands my siblings and I had parked on the neighborhood street corner: How we would spend the entire afternoon out in the hot sun selling plastic cups of lemonade for 50 cents each, or the way we thought we were hot stuff when we'd made a whole $5 by the end of the day, which probably didn't even cover our "expenses" and definitely wasn't worth our efforts. But it was fun anyway and something every child, no matter the decade, seems to experience. I can't wait for the day when my son decides he is going to have his first lemonade stand. It will surely be an occasion worth remembering. 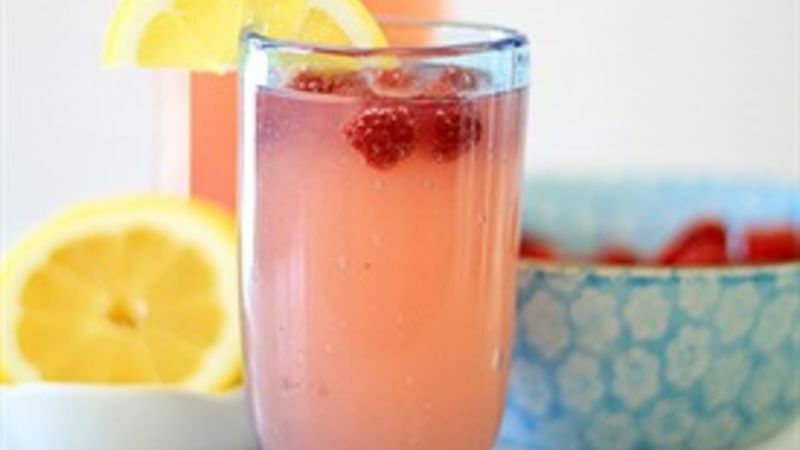 Pink Lemonade was a staple during hot and humid summers in Houston, and while this fresh Sparkling Raspberry Lemonade is pink, it's definitely a more sophisticated version of my childhood pink lemonade made from concentrate. Do you have a favorite summertime drink?